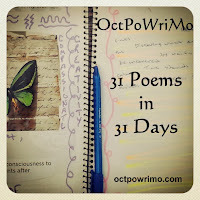 October Poetry Writing Month Day 6! You did a great job with this... I haven't even ventured in yet because like you I found it a bit daunting... The words here are whats important and they are beautifully done. Leave it to me not to read instructions--mine wasn't really a Diamante. Your poem nicely describes love gone right. I've only known the other kind. You maintained the shadow format. Well done. This is great! You conquered this format and then some. Bravo! I like how the words and the idea flow. Well done, very pretty. This is how I feel too about finding true love. I hope you find your love soon.